Having done a wonderful job with his Udinese’s side since pretty much last season, Francesco Guidolin, received an important recognition for his hard work after the tactician won the latest “Panchina D’Oro” (Golden Bench) Awards. The prize is being given for a tactician in Italy which is being considered the best in a certain season by fellow coaches in the country, a recognition that is being cherished so much by Guidolin. Guidolin revealed his joy after grabbing the awards by saying that it’s something that he have been longing for quite some time and receiving it at the current moment actually wasn’t something that he expected. The 56-years-old coach went on dedicating the success to Udinese, the players along with his parents as they are the one that simply helped him in achieving the acknowledgment from all of fellow tacticians. “I’m very emotional. I didn’t expect this and it has been a long journey to this recognition. I thank Udinese and all of my players for this. I dedicate this prize to them and also my parents,” Guidolin said. Guidolin’s achievement is obviously a deserved one since his work with Udinese since last season have been really great, carrying the team into fourth place and brought them into the Champions League. This season they are still sitting in third place, which once again opened up the change to get into Europe’s elite competition next season, not only that, so far his team’s performance in the Europa League has also been pretty good. 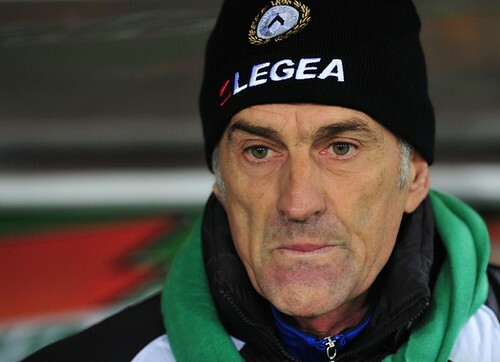 “Congratulations to Guidolin for the Panchina d’Oro. It is well deserved. He’s doing an incredible job, sincere greetings. He’s been luckier than me. He has his Panchina d’Oro, I’m still waiting for mine from 2009-10 to arrive in Madrid,” Mourinho said.